The cab-hailing major Uber is re-launching its 'Auto' service in India, nearly 2 years after shutting down the offering in March 2016, starting with Bengaluru and Pune. The US-based company, which is locked in an intense battle with domestic firm Ola, will allow customers to book auto rickshaws through 'Auto' option on its platform later in January in these two cities. Ola, which also allows booking autorickshaw rides under 'Auto' service, had launched the offering more than three years ago in 2014 from Bengaluru and Chennai. An Uber spokesperson said the company had "paused" the service "to see how that side of India's transport ecosystem evolves". For Uber, India is one of its largest markets where it has seen strong growth. Japanese conglomerate SoftBank, which is also an investor in Ola, has recently committed investing over $ 1 billion in the US-based ride-sharing platform. 1. 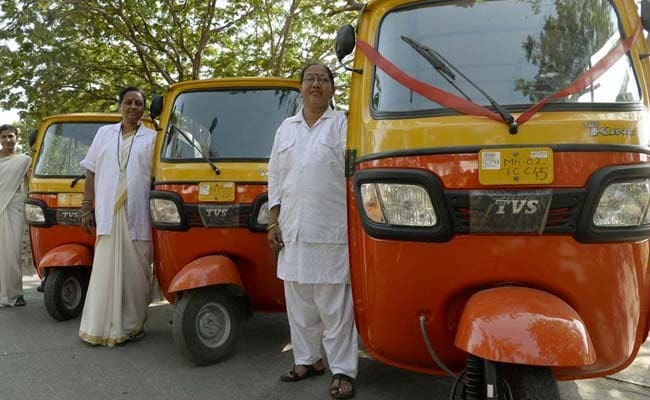 "Auto rickshaws are ubiquitous to mobility options in many Indian cities. To expand transportation choices for our riders, we are excited to launch Auto in Bengaluru and Pune," the spokesperson said. In its previous attempt, Uber's Auto offering was available in New Delhi, Coimbatore, Indore and Bhubaneshwar. "We are re-launching Auto starting with two cities. 3. Uber's domestic rival Ola has been running an auto service for over three years now. Ola Auto is currently functional across 73 cities with over 1.2 lakh autos. 4. The spokesperson added that AUTO will include all safety features available for Uber cab rides. Uber will only on-board licensed, existing auto-drivers who have been screened and accredited by the authorities and every driver partner on AUTO will be required to submit valid government documents before they are given access to the Uber app, the spokesperson said. Uber has been roiled in controversies for their alleged failure to offer security to their female passengers. In December 2014, one Uber driver was alleged to have raped a female passenger while she was travelling from Gurgaon to her house in Delhi's Inderlok. 5. The auto riders will be able to pay via cash, Paytm and debit/credit cards.